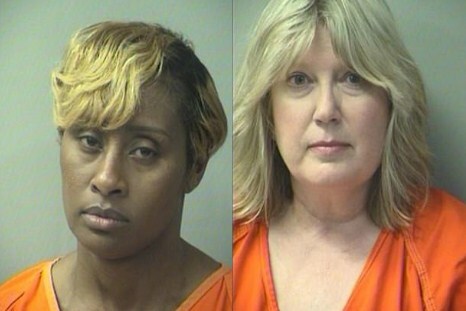 A teacher and two aides at a Florida school for autistic children have been arrested and charged for allegedly punishing autistic children. It’s alleged that the trio would lock children up in a dark bathroom or blow whistles in their ears as punishment. 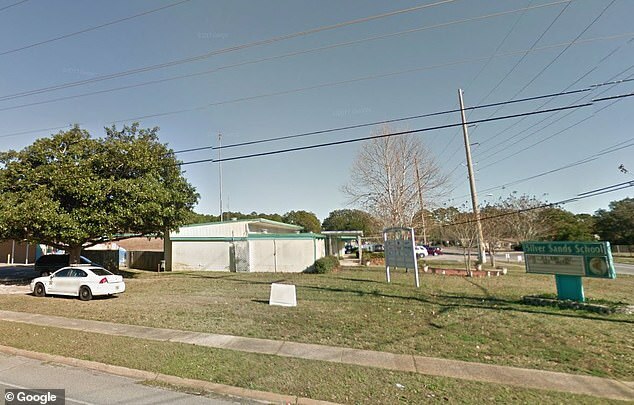 The antics only came to light after another aide who was so disturbed by the repeated abuse at the Silver Sands School in Fort Walton Beach that she reported it to a school police officer, sparking an investigation, the Okaloosa Sheriff’s office said. The students were aged between 8 and 10-years-old. 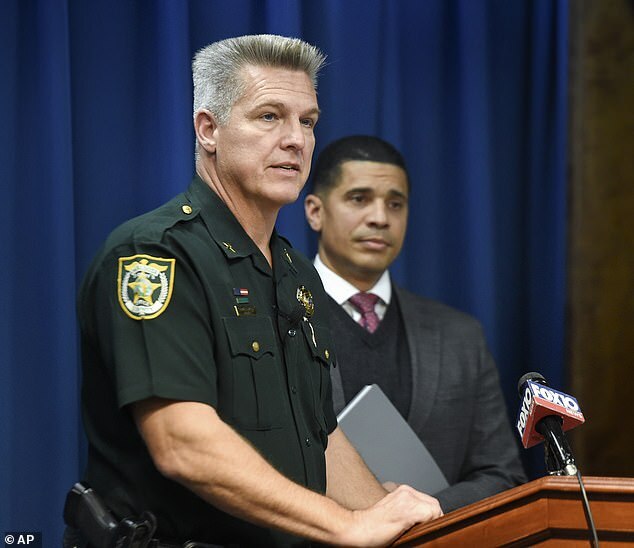 Okaloosa Sheriff Larry Ashley said that police learned of the abuse towards the end of 2018 but that it had been going on for some time and believe there may be other victims. The Sheriff said teacher Margaret Wolthers, 48, and aides, Diana LaCroix and Carolyn Madison could have called the principal, the school resource officer or even the children’s parents when they became difficult to handle. Instead, children were placed alone in a pitch black bathroom on at least three occasions and were ‘intentionally and maliciously’ punished. ‘Classroom aides who witnessed the incidents say the victims would scream and cry when placed in the bathroom, and that one was contained for up to 90 minutes,’ Ashley said. ‘They considered it an acceptable practice,’ he said. Wolthers and the aides are alleged to have placed three students ‘on separate occasions, individually,’ into her classroom bathroom, turned the lights off and closed the door. According to a witness, the children would ‘scream and cry’ when placed in the bathroom. If the victims turned the lights on or opened the door the teachers would then extend the time the child had to stay in the bathroom. One child had a loud whilst blown in his ear despite the youngster wearing headphones specifically to protect him from loud noises. The whistle-blowing ‘was done while holding the victim’s arms down’ so that the child could not protect himself by covering his ears, the arrest report as seen by nwfdailynews states. 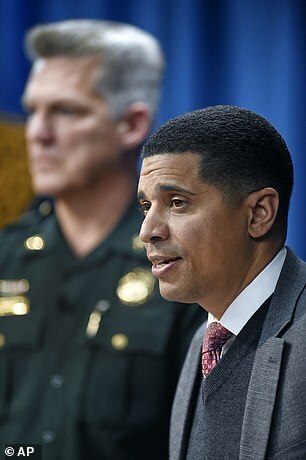 ‘We in the School District will not tolerate actions like this nor inaction where it impacts the health, welfare, and safety of our students,’ School Superintendent Marcus Chambers said. Wolthers, LaCroix, and Madison also threatened the child with the whistle ‘to correct his behavior,’ the reports said. The child was able to verify witness accounts, they said. The teachers and aides have been with the school system ranging from 13 to 21 years but have now been placed on been on paid administrative leave since the allegations surfaced. 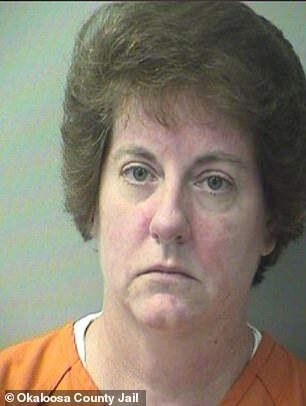 Wolthers is the wife of an Okaloosa County deputy. The first-degree felony charge Wolthers, LaCroix and Madison are facing carry a maximum prison sentence of 30 years and a fine of up to $10,000.